The Michelin Ginetta GT4 SuperCup continues to be as competitive as ever this season, with seven different race winners over the opening five meetings, and no less than ten different drivers on the podium. Charlie Robertson leads proceedings as we enter the second half of the 2014 season thanks to four wins and a further four podiums, whilst a tough weekend at Croft for former championship leader Andrew Watson dropped him to third, just one point behind triple race winner David Pittard. Carl Breeze finally returned to the top step just before the summer break, taking two wins and a second place at Croft and in doing so, leapfrogging his way to fourth in the overall standings, just nine points adrift of Watson ahead of local driver and former Michelin Ginetta GT4 SuperCup Champion Breeze’s home race. Tom Oliphant rounds out the championship top five with a win and four podiums to his name, but former race winner Luke Davenport is hot on his heels after graduating to the Michelin Ginetta GT4 SuperCup from the Ginetta GT5 Challenge with new team United Autosports. Jamie Orton is fending off the Academy Motorsport pairing of Will Burns and Sean Huyton elsewhere in the top 10, with each of the trio having enjoyed champagne and silverware, but they need to keep an eye on Dan Norris-Jones and Reece Somerfield as the four racers continue to hunt down their first podiums of the season. If the opening five weekends are anything to go by, fans are in for a real treat over the closing half of the Michelin Ginetta GT4 SuperCup season with champagne, points and silverware anyone’s for the taking, and the championship battle very much alive. 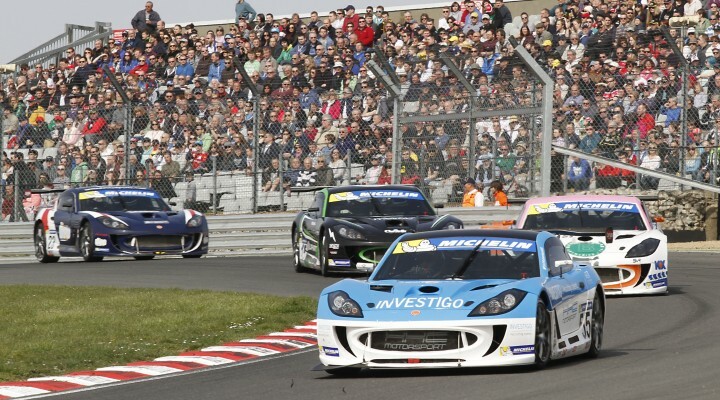 For all the action and behind-the-scenes insights, follow @GinettaCars on Twitter.